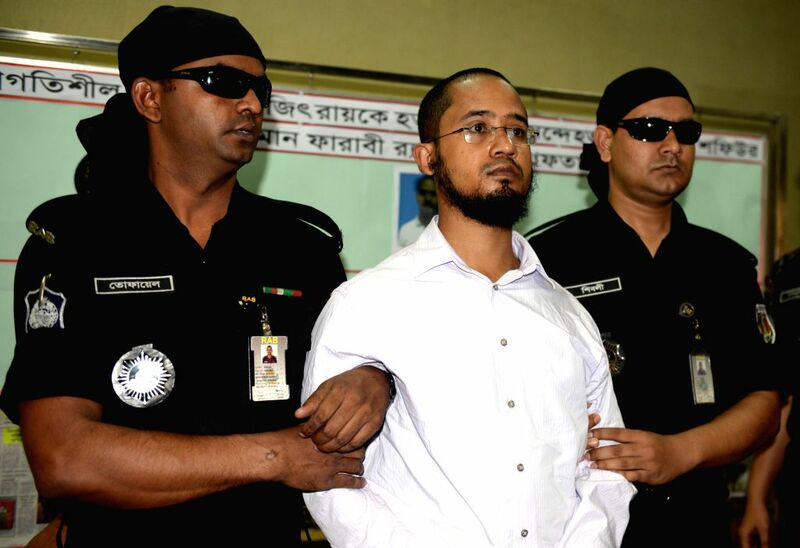 DHAKA, March 2, 2015 - Farabi Shafiur Rahman (C), the prime suspect in a murder case of writer-blogger Avijit Roy, is arrested by Rapid Action Battalion (RAB) in Dhaka, Bangladesh, March 2, 2015. 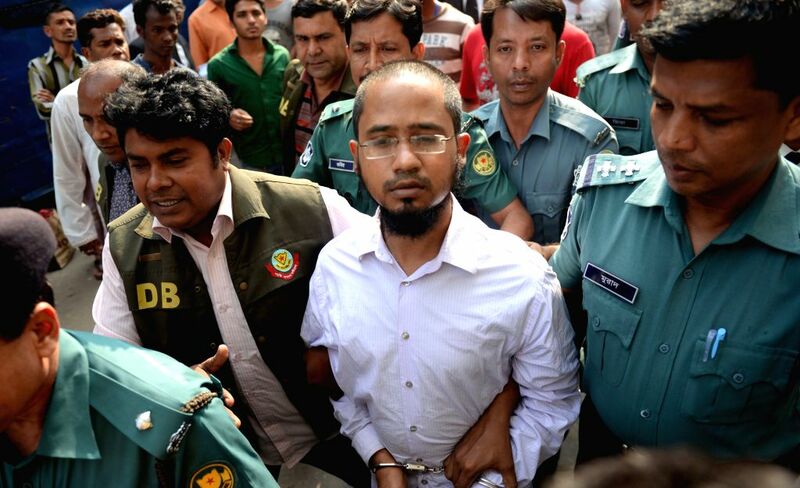 Farabi Shafiur Rahman (C, front), the prime suspect in a murder case of writer blogger Avijit Roy, arrives to a court for appeal in Dhaka, Bangladesh, March 3, 2015. Bangladeshi anti-crime elite force Rapid Action Battalion (RAB) arrested the main suspect connecting with the murder of writer blogger Avijit Roy, a press release of the RAB said Monday.